Query #068 – Rachel Hull–Moses Fitz Randolph–Piscataway, Middlesex Co., NJ: I would like copies of any vital records for the marriage, probates, etc. of Rachel Hull and Moses Fitz Randolph—anything showing proof of their relationship. I will pay shipping/copy costs, etc. Any other records regarding the Fitz Randolphs in that line would also be appreciated. 07 Dec 2007 Reply from the HFA Genealogist: We do have some vital records from Piscataway for Rachel Hull, but we do not have an actual marriage record showing on my family group sheet. I am showing that I have these FitzRandolph genealogies in my files... [answer to this query is available only to HFA members; become a member here]. Query #067 – John Hull–Belfast, Ireland–Ottawa, Canada–Aurelie Saucier–Nancy King: I am searching for any information on my 2nd gt grandfather, John Hull, b. ca. Jul 1842, Belfast, Ireland. I know he arrived in Canada with another family member. He married 01 Sep 1873, in St-Jean-Baptiste, Ottawa, Canada, Aurelie Saucier. His mother’s name is probably Nancy King. Can you help me? Thanks. 07 Dec 2007 Reply from the HFA Genealogist: We have two other queries which are inquiring about this family. We are listing eleven children in this family in our database. They are... [answer to this query is available only to HFA members; become a member here]. Query #066 – Charlotte Hull–Jonathan W. Myers–Mahoning/ Trumbull Co., OH–Wood Co., OH: I want to know about the family of my 3rd gt. grandmother, Charlotte (Hull) Myers. She was b. 05 Feb 1812, probably in Mahoning/ Trumbull Co., Ohio; d. 19 Sep 19, 1849, Wood Co., Ohio; married Jonathan W. Myers, probably in Mahoning/Trumbull Co., Ohio, and migrated to Wood Co., Ohio (near Bloomdale) with her husband in the fall of 1844. Charlotte’s spouse was Jonathan (Wolfcale?) Myers, son of John Myres and Rachel Wolfcale. The Wolfcales resided near Austintown in Mahoning Co., Ohio and are buried in the Cornersburg Cemetery in that area. 05 Dec 2007 Reply from the HFA Genealogist: We have the marriage of Charlotte Hull and Jonathan W. Myers as... [answer to this query is available only to HFA members; become a member here]. Jonathan also had three children by a second marriage to Elmira Robbins. Where I’m stuck is figuring out who Charlotte’s parents were. I found some interesting leads on the Hull and Osborn forums on genforum.genealogy.com. It appears that one of Jonathan’s 2nd or 3rd cousins on the Osborn side married a Phebe Hull, and another Osborn cousin married Annie Babbitt. In one of your postings—I can’t find it now, but Nos. 1537 and 1542 pertain—I learned that Phebe’s parents were Jacob Hull and Tryphenia Babbitt. Those names intermarried with Jonathan’s cousins make me think I’m on the right track. Years ago when I scanned the 1830 and 1840 censuses I saw several Hulls of the right age to be Charlotte’s father in the Boardman area in Trumbull County. One I think was named Henry. Since Charlotte named her firstborn son Henry, that’s the Hull I would have investigated if I’d had any more data. Tonight, I looked more closely at No. 262 posted by Linda Bitner—it shows George Hull had sons Jacob who m. Typhena [sic] Babbit and Henry who m. Mary Logan (and other sons). NJ and NH are the only states mentioned. Also tonight I noted that one of Jonathan’s Osborn cousins in Boardman had a mother-in-law with maiden name of Logan. Thus the pieces appear to be falling in place. Do you have any family group sheets for this George, or Jacob, or Henry Hull? Also, there’s an odd fact I learned about Charlotte’s daughter Anna. She and her husband George Barnd had an adopted son with birth name John S. Trout (b. 1874). John m. Ida V. Kratz (b. 28 Feb. 1872, in Monroe, Mich.). Ida was the daughter of Peter Kratz and Amanda Hull. According to a county or family history (I didn’t record the source), Amanda was a descendant of Gen. William Hull, “who marched his army through this county in the war of 1812.” I understand from the Weygant history and your postings that Gen William’s only son died without issue, hence any claim to be a Hull descended from him is bogus, but it’s an interesting coincidence nonetheless. Do you know anything about Amanda (Hull) Kratz? 03 Jan 2008 Reply from the HFA Genealogist: Yes, I do have these family group sheets and will send them to you privately. George Hull Sr., the father of this family, also had a son George, if you would like to have his family group sheet. George Sr. also had sons Solomon and Daniel. I can send all of these family group sheets to you if you would like to see them. These Hulls were all previously in Morris Co., NJ. I agree with you that Henry Hull is a likely candidate to be your Charlotte’s father. I see one drawback to this, though. Henry Hull left a will and apparently no Charlotte was named in the will. I think I either have a copy of this will or an abstract, which I will look into as soon as I have the time. I am listing only three children for this Henry Hull, which would be a very small family for those days. Sometimes fathers provide for children before they die and that may have happened in this case. Usually, though, they mention this in their will, even though they do not name the “other” children whom they have provided for, which is always a disappointment to genealogists. Yes, you are right. Amanda Hull could not be a descendant of Gen. William Hull. But it’s not too unusual for people to claim him for an ancestor even though there is not a whit of truth in this. I do not have Amanda Hull Kratz in my database. Can you give me some dates for her, please? I do have an Amanda Hull, b. ca. 1835, MI in my database, but I have no husband for her. I have 110 Amanda Hulls in my database. If I knew your source, that would help to pin this down. Query #065 – Reuben Hull–Washington Co., PA–Columbiana Co., OH: I would like more information on the father of my 4th gt grandfather, Reuben Hull, b. 15 Sep 1783, Washington Co., PA; d. 12 Feb 1877, Franklin Twp., Columbiana Co., OH, rumored to be one of the many Gershom Hulls. Note: This query was duplicated as Query #121. 01 Nov 2007 Reply from the HFA Genealogist: We’d be happy to supply you with a family group sheet for this Reuben Hull. We, too, have his father as… [answer to this query is available only to HFA members; become a member here]. Did Hull resign from Northleigh Parish, Devon, England in 1632 or did the Bishop remove him from his living? He is listed as Rector of Northleigh, Devonshire, 1621–32 [Foster 2:765] and as curate of Broadway, Somersetshire, 1633–34 [TAG 68:149]. One account says that he was removed from his living and that resulted in his eventual removal to MA Bay. If he was removed from his living at Northleigh by the Bishop of Devon in 1632 and then took up a living in Somersetshire at Broadway in 1633 it does not seem likely that his dismissal by the Bishop of Devon played any part in his eventual removal to Weymouth. His appointment by the Bishop of Somersetshire to Broadway indicates that Church upper management had no problem with him serving as a Rector. Or was he also removed from Northleigh by the Bishop of Somerset? In another account he was said to have resigned from his (presumably in this account) Devon Rectorship because of differences with the Church of England. Any idea what the differences were? My impression is that Joseph was welcomed by the Management of the MA Bay Colony because he was ordained Clergy. In this period the Colonies had plenty of un-ordained clergy. I know little of MA Bay history but do know that in Plymouth they were having serious problems performing baptisms because of a lack of ordained Clergy. In this period Governor Bradford of Plymouth Colony seriously considered going to the Bishop of the VA Colony to request nearby VA Colony clergy to perform baptisms at Plymouth. (The northernmost Diocese of the VA Colony bordered Plymouth Colony on the south.) They never made the request—but they did consider it. An article by a Sam Behling said that Joseph and his family moved in 1639 to Plymouth Colony and there founded the present town of Barnstable, at a place called by the Indians, Mattakeese. Is this correct? Upon returning to England was Joseph actually a curate at St. Buryan, Cornwall or did he simply reside there? He is said to have remained there for ten years and then was ejected from the parish. Any idea why he was ejected? Query #62 – Franz Phillipp Holl–Lancaster Co., PA–Augusta Co., VA: Would like info on my 6th gt. grandparent, Franz Phillipp Holl, and his family. 23 Oct 2007 Reply from the HFA Genealogist: We can supply a family group sheet for Franz Phillip Holl and his two wives... [answer to this query is available only to HFA members; become a member here]. Query #061 – Benjamin Hull–Sarah Hutcheson–Lincoln Co., NC: Would like info on my 5th gt. grandparents, Benjamin Hull and Sarah Hutcheson. Would like their parents and siblings. 23 Oct2007 Reply from the HFA Genealogist: Please see our answer to Query #059, which is also inquiring about this same line [answer to this query is available only to HFA members; become a member here]. Query #060 – Daniel Melvin Hall/Hull–Lucy Farrington–NY–IL: I have a Daniel Melvin Hall/Hull and Lucy Farrington listed on Frederick Leeland Hall’s marriage certificate NY, NY. I have been unable to find Daniel Hull’s parents. I believe Daniel Hull was born Sept 8, 1818 and died 1874 in IL. This next question is not on the Hull line, but someone may have info: I have also been unable to link Lucy/Lucinda to another Farrington. Is Lucinda a child of Frederick Farrington and Mary Fuller (or perhaps another spouse of Frederick Farrington)? 23 Oct 2007 Reply from the HFA Genealogist: We have a family group sheet for this couple and also for their sons. They were from… [answer to this query is available only to HFA members; become a member here]. Query #059 – Hull–Hutchison/Hutchinson: I would like to have information on the ancestral line back of Benjamin Hull Sr., b. 27 Aug 1740, perhaps in NJ; d. 11 Oct 1832 in Lincoln Co. NC. His headstone is located in Hull’s Grove Baptist Church at Hull’s Crossroads in Lincoln Co., NC. Benjamin m. Sarah Hutchison/Hutchinson, and they were the parents of Abner (m. Elizabeth Parker); Mary (m. Henry Mull/Moll); Benjamin Jr. (m. #1 Amy Williams, #2 Selina or Stacia [_?_]); Richard (m. #1 Catherine Jeams, #2 Nancy Ann Stockstill); Sarah “Sally” (unm. ); William (m. Catherine Cline); and Major Hull (m. Margaret “Peggy” Gross). 10 Sep 2007 Reply from the HFA Genealogist: We have several other HFA members who descend from this line and they, too, would like to identify this Benjamin Hull’s ancestors. The line has been DNA-tested and matches the Hull males who descend from… [answer to this query is available only to HFA members; become a member here]. Query #058 – Hull–Holl–Lingenfelter–Rockbridge Co., VA: Does anyone have detailed information and documentation on the children of Philip Hull/Holl and his wife, Elizabeth Barbara Lingenfelter. I believe that Philip died in Rockbridge Co., VA between 1820 and 1830. The last census where he is found is the 1820 census of Rockbridge. Elizabeth Barbara died in Rockbridge Co. on 14 Feb 1842. I have not done research of the will books or probate records of Rockbridge on these two individuals. Philip and Elizabeth are my 5th gt. grandparents. I have a great amount of information on the ancestors of Benjamin Reid who married their daughter Elizabeth “Betsy” Hull on 27 Dec 1813 in Rockbridge Co. I also have photographs of the tombstone of Elizabeth “Betsy.” Happy to share all information I have. 05 Dec 2007 Reply from the HFA Genealogist: I’ll be happy to send you my family group sheets for the children of Philip Hull/Holl and his wife, Elizabeth Barbara Lingenfelter. These will list all of my references that I have in my files. 09 Dec 2007 Reply from Doug Hull, HFA Member #1284: Phillip Holl was my 4th great grandfather’s brother, John Holl/Hull who married Elizabeth Lingenfelter’s sister Ann Mary. I have two sons listed under Phillip, a Peter Hull (no information on him) and a John Hull born 18 Oct 1791, Augusta Co., VA, and died 3 March 1860 in Lafayette, Polk Co., IA. The only other information I have on John is that he married Amy Strickland. Sorry, I wish I had more information. 11 Dec 2007 Reply from the HFA Genealogist: Keith and Doug – I have sent my family group sheets to both of you for the two brothers Philip Hull/Holl and John Hull/Holl. If you should want the family group sheets for Philip’s sons, Peter and John Hull, I'll also be happy to send these. 03 Jan 2008 Reply from Doug Hull, HFA Member #1284: Phyllis, if you have any additional information on Philip Hull and his family I would appreciate very much receiving that information. Thanks. 03 Jan 2008 Reply from the HFA Genealogist: Doug, this morning I e-mailed you four family group sheets for the sons of Philip Hull (Holl). These should give you quite a bit of additional info. This article will help to explain why your line is not part of the German Peter Thomas Hohl/Holl/Hull & Susanna Margaretha Dieffenbach line, as previously thought by some people. Query #57 – Hull–Glover–Morris Co., NJ–Harrison Co., WV–Licking Co., OH: Would appreciate information on the parents of my 5th gt. grandfather, Samuel Hull, b.1735, Hartford Co., MD; m. 02 May 1758, Morris Co., NJ, Martha Glover; d. 02 Aug 1814, Licking Co., OH. Is he in the lineage of Rev. Joseph or his brother, or what line of Hulls does he fit into? Query #056 – Isaac Hull–Lancaster Co., PA–Butler Co., OH: I’d like to know the relationship, if any, between Isaac Hull, the man being taxed in Lancaster Co., PA in the 1760s, and my 3rd great grandfather, Isaac Hull, who was b. 1760 in Lancaster Co., PA, and later moved to Butler Co., OH. 10 Sep2007 Reply from the HFA Genealogist: Your Isaac Hull is not related to these German Lancaster Co., PA Hulls/Holls/Hohls, to the best of our knowledge. Our records show that… [answer to this query is available only to HFA members; become a member here]. Query #055 – Hull–McGrane–Cleveland, Cuyahoga Co., OH–Los Angeles, CA: I would like info on my grandparents, who were Melvin Christian Osborne Hull, b. ca. 1886, Cleveland, Cuyahoga Co., OH. He d. ca. 1952, Los Angeles Co., CA, and my grandmother was Kathleen McGrane. 22 Aug2007 Reply from the HFA Genealogist: We are pleased to inform you that we can add another generation to your lineage. We are showing your Melvin Christian Osborne Hull’s parents as… [answer to this query is available only to HFA members; become a member here]. Query #054 – Hull–Hepburn–Tilson–Oxford, New Haven Co., CT–Brookfield, Fairfield Co., CT: With all of our new HFA members, I am hoping someone can help me. I am looking for proof of my 3rd gt. grandparents, John and Sarah (Hepburn) Hull. They had a son, Ezra, whom I believe is the father of my 2nd gt. 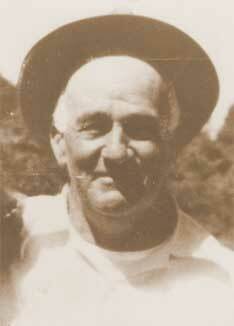 grandfather, Bennett Hull, b. 1799 in Oxford, New Haven Co., CT, but I can’t prove it as some records say this Ezra never had children. Supposedly, according to census records, there was also a daughter, Polly, b. 1797, Oxford, CT, and possibly another daughter but I don’t have a name. Cannot find any info on Polly but do have Bennett and wife, Hopestill Tilson, down to my Dad, Frederick C. Hull, b. 1913, died 1987. Would like to correspond with any related descendants via e-mail at [contact the webmaster (webmaster [at] hullfamilyassociation.org)]. 22 Aug 2007 Reply from the HFA Genealogist: I’d be happy to send our family group sheets to you on these families. These do give our sources, including some Hull queries on this line, which may or may not contain some errors. These claim that Ezra Hull was married to… [answer to this query is available only to HFA members; become a member here]. Query #053 – Hull–Civil War–Michigan–Muscatine Co., IA: Am seeking info on Charles Hull, age 23 at enlistment; residence: Muscatine Co., IA; nativity: MI. Enlisted 10 Feb 1864. Mustered 10 Feb 1864. Mustered 20 Feb 1864. Wounded severely in right arm 14 Jul 1864, Tupelo, Lee Co., MS, Co. A, Residuary Battalion 14th Infantry. Mustered out 8 Aug 1865, Davenport, Scott Co., IA. Charles Hull originally enlisted from Muscatine, IA into the 14th Iowa Infantry, Co. G. At the end of 1864 most of the regiment’s 3-year enlistment was over. Charles and other recruits, who joined in 1864 along with a few 3-year men who signed on for extra time, were then formed into the Residuary Battalion, Co. A of the 14th IA. As the War wound down in 1865, Charles and the 14th IA Residuary Battalion were stationed in Camp Butler, Springfield, Sangamon Co., IL in April and May of 1865. When the stunning news came that President Lincoln was assassinated, the men of the 14th Iowa were in the right position to serve as escorts for Lincoln’s burial in Springfield and also to serve as guards at the cemetery following Lincoln’s entombment. I am not a Hull family member but am a volunteer for a small local IA historical society that is attempting to follow the members of this Company. Our purpose is to try to locate, then document the gravesites of all these men of the company to make sure their graves are all still properly marked and the men remembered. After the long passage of time many of the men’s markers have become worn, broken, or unreadable. If family is no longer in the area some men’s graves have been neglected. We hope to prevent that if we can. Query #052 – Hull–Chicago, Cook Co., PA–?MO–?Kalamazoo, MI: I am searching for my birth mother, Elizabeth Hull, and birth sibling(s) and would appreciate any information you might be able to provide. The Elizabeth Hull about whom I am seeking information was born in 1910 or 1911, and was living in Chicago, Cook Co., IL in 1944. She may have lived in MO or near Kalamazoo, Kalamazoo Co., MI in the mid-1950s. 22 Aug 2007 Reply from the HFA Genealogist: Would you happen to have a middle name for your Elizabeth Hull? Our database reveals that we have… [answer to this query is available only to HFA members; become a member here]. Query #051 – Hull–Diffenderffer–Lancaster Co., PA: Do you know of any Diffenderffer family connections in any of the Hull family lines? The Diffenderffer family was originally from Lancaster County, PA. My branch moved to Baltimore in the 1770s prior to the Revolutionary War. Family lore suggests a Hull relationship, but I have never been able to document it. Thanks. 03 Aug2007 Reply from the HFA Genealogist: Yes, we do have several Diffenderffer connections to the German Hull/Holl/Hohl families—at least five instances of these. For instance… [answer to this query is available only to HFA members; become a member here]. Query #050 – Hull–Sharp–Carter–Clinton Co., IL: My 2nd great grandmother was Rebecca Hull. Her parents were James M. Hull and Nancy Parker Sharp. Rebecca was born Oct 1838 in IL. I would like to know more about James M. Hull. I do know that he was in the Mexican war; he died 1848. If you have any info it would be greatly appreciated. Rebecca married Fletcher W. Carter in Nov 1856, Clinton Co., IL. Thank you. 03 Aug2007 Reply from the HFA Genealogist: We do have a family group sheet for James M. Hull, with six references for him. Nancy Parker Sharp was not born in 1838, for she married James M. Hull ca. 12 Nov 1837, Clinton Co., IL. We have James’s parents and grandparents, who were… [answer to this query is available only to HFA members; become a member here]. Query #049 – Hull–Henderson: Desire info on Maurice Bradley Hull, b.1848, CT; his wife, Julia L. Henderson Hull, b. 1850, Jefferson Co., NY; and family. Maurice Bradley Hull is the son of Bradley Hubbell Hull and Susannah “Susan” Hubbell. Also desire info on DeWitt Clinton Hull, b. ?CT, and family. Query #048 – Hull–Wood–Hill–Guilford Co., NC: Desire info on the wives and children of my 2nd gt. grandfather, Ebenezer Hull, b. Jan 1810; d. 1911, of Guilford Co., NC. I descend from their son, Edward Delton Hull, b. 1865, d. 1849, who m. Betty Elizabeth Hill. 26 Jul 2007 Reply from the HFA Genealogist: We have another fairly new HFA member on this line… [answer to this query is available only to HFA members; become a member here]. Query #047 – Hull–Housel–Hunterdon Co., NJ: I would like any information anyone has on my 7th great grandmother, Osa Hull, born ca. 1780s in NJ. She married Jacob Housel and had 7 children: James, Wilson, Merinda, Furman, Gardner, Calvin, and Mary Ann. They lived according to the census in Bethlehem, Hunterdon Co., NJ. Osa Hull is named in a letter which I have a copy of from a grandson as the wife of Jacob Housel. 26 Jul 2007 Reply from the HFA Genealogist: We have in our files a query from…[answer to this query is available only to HFA members; become a member here]. Query #046 – Hull–George–Barr–Caddo Parish, LA–Claiborne Parish, LA: Seeking info on Charles F. Hull, b. ca. 1839, Caddo Parish, LA; m. 10 Oct 1866, Caddo Parish, Frances or Fanny Luella George, b. ca. 1847, LA. Children: Carrie Hull, b. 28 Feb 1868, Caddo Parish; George Edgar Hull, b. 11 Nov 1875, Caddo Parish. Both parents disappear on the 1880 US census and the children are with a H.W. Stevens family who the census indicates is not a direct relative. We think the parents may have died sometime between 1875 and 1880. George Edgar Hull m. 23 May 1899, Caddo Parish, Mary Elizabeth Barr, b. 13 Oct. 1877, LA. We have not been able to get past Charles F. Hull. Charles appears out of nowhere on the 1850 census by himself, age 11, with no other Hulls. This census indicates he is from Minden, Claiborne Parish, LA. I am a granddaughter of George Edgar Hull, Jr. Thank you for your time. 26 Jul 2007 Reply from the HFA Genealogist: We are showing a family group sheet for Charles “Charlie” F. Hull, with six sources, including… [answer to this query is available only to HFA members; become a member here]. Query #045 – Hull–Whitesell–Jefferson, Co., PA: Thank you for putting all those queries in the Summer 2007 HFA Newsletter. My 2nd gt. grandfather was John Hull and he died in Jefferson Co., PA on 01 Dec 1876. I have not been able to find his parents. I do have an obit for his wife Margaret Whitesell Hull. She died in 1898 at 100 years of age, in Reynoldsville, Jefferson Co., PA. Would you be interested in the obit for the Newsletter? Query #021: Is there a way I could get in touch with this person? My birth name was Barbara Justus. Thank you. 26 Jul 2007 Reply from the HFA Genealogist: Yes, thank you so much for your offer to send the obituary of your Margaret Whitesell Hull. We appreciate that. I will send you the e-mail address for the man who submitted Query #021. However, I doubt that he has any genealogical information on John Justus Hull at all, and I received no answer from him after I offered to send our info on John Justus Hull. I’ll be happy to send to you my family group sheets on John Justus Hull and also on his parents. We have this line traced back four more generations. It is a German line. We need the birth date or approximate birth year of your John Hull. That might help to extend his line. We especially need to know where he was in the 1850 census. Can you supply that info for us? Thank you for any additional info which you can supply. Query #044 – Hull–Miller–Westchester Co., NY–Morris Co., NJ: Desire info on the parents of Mary Hull, b. 31 May 1792, Bedford Westchester, NY; d. 20 Sep 1875, Whippany, Morris Co., NJ. Mary m. Levi Miller, 01 Feb 1815, Bedford, NY. Levi was b. 1790, s/o Jonathan and Mary (Fisher) Miller. Ch. of Levi and Mary (Hull) Miller: Celinda, Hezekiah H., Sarah, Eli R., Gilbert, and Mary. 30 Aug 2011 Reply from Jon Ugelstad, non-member: Bonnie, if you’re out there, I have a picture of Mary Hull. I haven’t found her parents either and would like any information you may have. Query #043 – David Hull–Ruth Hart–Inverness & Guysborough Cos., Nova Scotia, Canada: Seeking info on my 2nd gt. grandparents, David Hull and Ruth Hart, of Nova Scotia. Who were his parents, where and when were they born, and when and where did they die? 05 Jul 2007 Reply from the HFA Genealogist: We are happy to give you this info. David Hull’s parents were… [answer to this query is available only to HFA members; become a member here]. From the HFA Genealogist: HFA Member #1518 Robert Keith Hull has kindly informed us that the 1817 census for Manchester, Sydney County, Nova Scotia, is online here. This census shows Samuel Hull with nine in his household, two of whom are of American origin and seven of whom are of Acadian origin. We are working now to try to determine where in America these Hulls or their ancestors previously lived. They have been given two different locations in Connecticut, but neither is documented as yet. These Hulls also resided in Guysborough, Nova Scotia, Canada. We are happy to send out family group sheets to HFA members, three at a time, for these families. Query #042 – Hull–Fallon–Falzone–Rochester, NY: Desire info on my Hull birth parents. I was born in Rochester, NY in May, 1949, to a family with the last name of Hull. I was given the name of Audrey and it is still on my birth certificate. I was adopted only days after I was born. My name now is Mary Lee Fallon (Falzone). My adoptive father legally changed his name long ago to Fallon. I have no idea if I am part of any of your Hull families’ history, but I would like to know more if possible. I don’t know the first names of my birth parents, although I was told that there were several, possibly 7, children born to them but all of the girls were adopted out; only the boys retained the Hull surname. Please help if you can. I have never searched for my birth parents because my adoptive parents, I have always felt, were the ones who raised me. Still it would be nice to know if there are more family members out there since I have always been the only child. Please contact me if you think it’s possible that somehow we are related. Thanks in advance for your help and I hope I can help more in the future. I’ll hope to hear from you. 18 Jul 2007 Reply from Mindi Zaov, non-member: Mary Lee: Hi, this is Mindi.I typed your name in the Internet to find your phone number and came up with nothing.Then I came across this website. Please call me [telephone number and e-mail address forwarded to query submitter].I want to find out about grandpa and how he is doing. Called his number and it is disconnected.Call me or e-mail me, whichever is easiest for you. Query #041 – Ferdinand Miles Hull & Hannah Keusch–Grant Co., WI–Cook Co., IL: I’m looking for information on the children of my grandparents, Ferdinand Miles Hull and Hannah Keusch from Cook Co., IL. 05 Jul 2007 Reply from the HFA Genealogist: We found Ferdinand Miles Hull, b. 02 Jul 1871, Platteville, Grant Co., WI , on the 1900 Cook Co., IL census, listed with one child… [answer to this query is available only to HFA members; become a member here]. 12 Jul 2007 Reply from John B. Lester, HFA Member #1229: Your great grandfather, Wilbur Hoag Hull, is known by an old photo; I have visited his gravesite. His parents (your great great grandparents, and mine) Justus and Harriet Hull, are in gravesites that I have also visited. Do you have any photos of your grandparents? Several of us are descendents of Wilbur Hoag Hull’s brother, Ferdinand Miles Hull (your grandfather’s uncle). One of theses days I plan to find the Platteville, WI farmsite of Justus and Harriet Hull. They called it Walnut Grove Farm. 26 May 2009 Reply from Vickie Lang, non-member: My name is Vickie Lang. I’m a volunteer at the Warren & Polly Hull House (Justus Hull’s parents’ house) in Lancaster, Erie County, New York. Do you have any pictures of Justus’s headstone or anything? I would love to add them to my scrapbook. I could send you some pictures of your great-great-great grandparent’s house and graves. Thank you. Query #040 – William Russell Hull–John Edgar Hull–William Rush Hull–Lohnes–Sheppard–Peoria & Tazewell Cos., IL–PA: My immediate known heritage: b. [private], Peoria, Peoria Co., IL; raised in nearby Morton, Tazewell, IL. Son of William Russell and Nancy Ann (Sheppard) Hull; grandson of John Edgar and Mary Ann (Lohnes) Hull, gt.-grandson of William Rush and [__?__] Hull. My gt.-grandfather was born in PA, and that heritage plus his middle name leads us to believe that, circa 1830s or 1840s, his father married a lady of “Rush” heritage. Accordingly, the speculation is this links us to Benjamin Rush of PA, signer of the Declaration of Independence, and his grandson, Richard Rush who served as Atty. General under Pres. John Quincy Adams (along with my wife’s ancestor, Henry Clay, who was Adams’s Sec. of State). Is there any way to verify my great grandfather’s, and my family’s connection to the family of Benjamin Rush? 05 Jul2007 Reply from the HFA Genealogist: A great deal more genealogical work would need to be done on the Rush family, in order to determine this, and, even then, your chances of connecting to this particular Benjamin Rush family would probably be rather slim until you can prove that someone in your Hull lineage had married a Rush. We specialize in the Hull/Hohl/Holl surnames, and do not try to trace other surnames much beyond one or two generations back. Genealogical research is done step-by-step, carefully documenting each generation. Many people try to claim a relationship to famous or well-known people, but usually there is no real basis or proof for this claim. However, we are probably able to help with your Hull lineage, which would be the very first step in tracing back to any possible Rush ancestor. Our records show that William Rush Hull was… [answer to this query is available only to HFA members; become a member here]. Query #039 – Jacob Hull & Sarah Miller–Franklin Co., PA–Knox Co., IL: Desire info on, and parents of, my 3rd gt. grandparents, Jacob Hull, b. 29 Sep 1798, Franklin Co., PA(? ); d. 01 Nov 1883, Summit, Knox Co., IL; who m. Sarah Miller. 05 Jul 2007 Reply from the HFA Genealogist: We are able to add one more generation to your Hull line. Jacob Hull was the s/o… [answer to this query is available only to HFA members; become a member here]. Query #038 – Charles Nelson Hull–Cyrus J. Hull–Crawford Co., PA: I am looking for information I can get on our family. I am the granddaughter of Charles Nelson Hull, born in 1891; died in 1965. He lived in Chapmanville [Chapinville, Crawford Co.? ], PA. Was married to Nellie J. [__?__], who passed away in 1918; he then married Jennie M. [__?__]. Charles had 3 children with Nellie: my father, Donald LeRoy Hull, Harold, and Norma. He had 2 children with Jennie: Russell Hull and Alma (Hull) Orr. Any information would be helpful and greatly appreciated. Also any information on a Cyrus J. Hull, born 1852, died 1911, married Rosetta F. [__?__] (1855–1931). Cyrus is buried near Charles in Maple Hill Cemetery, Fauncetown, Crawford Co., PA. We’d like to know if Cyrus is related to our family. My mother, Dollie, could have probably told us this, but it seems that until my younger sister was killed in 2000, we kind of took our family history for granted. We were wrong to do so; now we would like to learn our past, to pass on to the younger generation, so they will know where they come from. 21 Jun 2007 Reply from the HFA Genealogist: I have good news for you! We have the maiden names of Charles Nelson Hull’s two wives, his father and mother’s names, his grandparents’ names, and the names of his siblings. He married (1) Nellie J. ... [answer to this query is available only to HFA members; become a member here]. 03 Jul 2007 Reply from Karen Hull, non-member: My father’s father was named Russell Hull. He had married into the Cook family to Mary. Are these Russell Hulls one and the same? 04 Jul 2007 Reply from Barbara J. Hull, HFA Member #1523: Karen, do you have any idea where Russell lived? I know he was a Principal in the Jamestown, NY area. I have no birth or other dates for him. Do you know any other family names, Russell’s brother’s or sister’s? Query #037 – Elinor/Eleanor Hull–Charles Roleson–Perth Amboy, Middlesex Co., NJ: Phyllis, I would like to request Family Group Sheets for: Elinor/Eleanor Hull, born 1725, Perth Amboy, NJ to Benjamin Hull; married about 1745 to Charles Roleson in NJ; died (probably in NJ) before Charles’s 2nd marriage 28 Jan 1760 in NJ to Mary Pangborn. I’d like the Family Group Sheet where Elinor/Eleanor is a child and the Family Group Sheet where Elinor/Eleanor is a parent, please. Thanks. 05 Jun 2007 Reply from the HFA Genealogist: I’m going to try and explain what I think has happened with your Eleanor and with her supposed father Benjamin. Part of what we do in the HFA is to try to not only extend lineages but we also try to correct them when we see errors. Even though this may be seen as disappointing news, in the long run we are helping people to veer away from incorrect lines, which is a waste of time, energy, and money. I knew that the name of Roleson/Rowleson/Rowelson was familiar to me as I’d seen it in NJ. Yet I thought it was strange that I did not have your Eleanor in my database. The reason is that, even though Eleanor is mentioned in the 1744/45 will of Benjamin Hull, she is not named as his daughter. My information states that this Benjamin Hull, of Piscataway, Middlesex Co., NJ, had no children. This is based on his will in which he names his wife Elizabeth (Slater), and gives the remainder of his estate to his brother Hopewell Hull; his nephew John Hull, the oldest son of Hopewell; his cousin Thomas Davis; his cousin Benjamin Doty; his cousin Mary Davis; John King (who formerly lived with him); Elenor, wife of Charles Rowleson of Perth Amboy; his cousin Samuel Davis; and Daniel Blackford Jr. of New Milford, Somerset Co. Benjamin states all of these relationships in his will, but he states no relationship at all to Eleanor, nor John King nor Daniel Blackford Jr. Surely if Eleanor had been his daughter, he would say this in his will, as he gives other relationships there. My copy of The Hull Family in America, published 1913, gives an account of Benjamin Hull, stating that he had no children. So it’s the conclusion of our Genealogy Committee that Eleanor Rowleson was not the daughter of Benjamin Hull. Why he left her a legacy of 15 pounds is not known, but this will give you something to pursue. She may have formerly been a servant in his household, but we have not yet determined that. Query #036 – Looking for Charles G. “Jerry” Hull–Vietman War: My name is Peggy V. (Wiggins) Turner. I may be way off base, but I have to try. I’m looking for my pen-pal that I had at 15 yrs. old. This was in 1966. His name is Charles G. Hull, but he called himself Jerry. He was from San Antonio, TX and was stationed in Da Nang in Vietnam. I even have his number that the Seabees gave me. I’ve called all of the numbers that they gave me and I wrote to the last address where he lived but it came back. I know this may be a dead end too, but I have to try. If you can help, could you please let me know. Thank you. Query #035 – Hulls Buried in Fox Cemetery, Valley Twp., Stark Co., IL: I am in the process of cleaning up an old abandoned cemetery in Valley Township, Stark Co., Illinois. There are only 5 headstones left in this cemetery, so I have done research on those that were buried there. I came across a Hull family. The names are Harry Hull, died 1878; Sally Hull, died 1862, aged 56 years; and Charles N. Hull, died 22 Dec 1896, 56 years. There has been controversy on who is still buried in the cemetery. Some say that several bodies were removed to another cemetery and others thought that there weren’t any bodies left there. I personally believe that there are still bodies in the cemetery. So I’ve decided to try to do some genealogy on the families that I believe are still there. That is what leads me to your website. I am in hopes that a member may have some information. I am not directly related to the Hulls—only by marriage. That is how I found the cemetery. Otherwise I would have never known it existed. My 3rd great uncle, Burr Bouton, married Sarah Emeline Hull, the daughter of Harry and Sally Hull. I should mention that the cemetery I am working on is called the Fox Cemetery. Is any member related to Harry and Sally Hull? And does anyone know if their bodies were dug up and moved to another cemetery? I believe that I have found that Harry Hull fought in the War of 1812. And Charles N. Hull (and his brothers) fought in the Civil War. My mission is to have these men (and the others) recognized for their service. The Fox Cemetery has been forgotten since the early 1900s. Thank you for your time. 23 May 2007 Reply from the HFA Genealogist: Cindy Eberle sent a file on what she has been able to glean on these Hulls. Thank you, Cindy. The Harry Hull mentioned above is HFAm #689, George Hull, immigrant, line. He is the son of... [answer to this query is available only to HFA members; become a member here]. Query #034 – Hull–Cook–Pike & Adams Co., IL: Desire vital info and sources on grandfather, Ellis Hull, gt. grandmother, Emma (Cook) Hull who m. James Franklin Hull, and their children. 22 May 2007 Reply from the HFA Genealogist: I am pleased to tell you that we can give you ten more generations to add to your lineage. These are from James Franklin Hull, who had these ch. by his second wife, Emma Cook:... [answer to this query is available only to HFA members; become a member here]. Query #033 – Hull–Ives–Canada: Desire info on my 5 gt. grandparents, Moses Hull, b.1736—who are his children? In Canada 1787; m. Mary Ives, 05 May 1756. Who are his parents? 18 May 2007 Reply from the HFA Genealogist: You have presented a special problem lineage to us. Even though many believe that the Moses Hull in Guysborough, Nova Scotia, Canada was identical to the Moses Hull, who m. Mary Ives in 1756 in Wallingford, New Haven Co., CT, there are other references which contradict this. And it is our opinion that there is no firm documented proof that these two men are the same men. We do know that the ch. of the Moses Hull in Canada were: Samuel, who m. Sarah Ingram/Ingraham, Elizabeth, who m. Stephen Pyle, and Philomela, who m. Benjamin Cook. The Moses in CT had these ch. : John, Sarah, David, Samuel, Zephaniah (m. Rachel Gilbert), Nathaniel, Mary, Moses, and Betsey. This CT Moses Hull was of the Richard Hull, immigrant, line and his parents were Dr. John Hull and Mary Andrews (HFAm #98-R). We feel that this particular problem will need more research to determine the proper construction of this Nova Scotia family. I have written an article, with references cited, on this problem which I can send out by e-mail to those interested (genealogist [at] hullfamilyassociation.org). If any of our readers can help with this, we will welcome all info. Query #032 – Harold H. & Bertha Hull–Olean, Cattaraugus Co., NY: My name is Linda Lou, born in Olean, Cattaraugus Co., NY on [contact the Webmaster (webmaster [at] hullfamilyassociation.org) for birthdate]. I was placed in a foster home in Portville, Cattaraugus Co., about 3 yrs. later and then adopted by foster parents. About 12 yrs. ago a biological half-sister was doing her search for other siblings and located me. My birth certificate has everything on it but my birth parents’ name. However the sister had several things, including info from my birth mother in her dying days about me and my brother. He was placed in same foster home before me and we were both adopted at the same time. My birth announcement in the Olean paper says born to Mr. and Mrs. Harold H. Hull a baby girl. I have been dabbling off and on since Jan ’07 on various web sites (not really knowing what I am doing other than grasping at straws!). I stumbled on your website tonight and thought I would tell my story. I remember visiting grandparents who lived in an upstairs apartment on Main St. in Olean, and a gentleman who stopped to visit, but all that stopped when we moved to Perry, Wyoming Co., NY in 1954. Birth mother’s name was Bertha. If anyone can shed any light or help steer me in a direction I would appreciate it. 24 Mar 2010 Reply from Pamela Vincent, non-member: I may be able to help. I have a Harold Hull in my family but he may not be the one that you are looking for. My Hull family is from Olean. I don’t have Harold Hull’s info but I do have lots of names for you. I guess if you are in your late 70s you could possibly be his daughter. Query #031 – Joseph & Sarah Hull–PA, IA, OR: Looking for any info as to lineage of Joseph Hull. Ch. of Joseph Hull and wife, Sarah, were born in OH between 1834 and 1841 and before they moved to IA somewhere between 1841 and 1846. Went to OR in the 1870s. Joseph Hull was b. 29 Jan 1806 , PA. He appears in the 1870 Pleasant Twp., Wapello Co., IA census, and d. 1882, Summerville, Union Co., OR. 18 May 2007 Reply from the HFA Genealogist: Unfortunately we do not have the parents of Joseph Hull. However... [answer to this query is available only to HFA members; become a member here]. Query #030 – James Hull and His Wife: I would like more info on James Hull, b. ca. 1800, NY, and his wife Betsy, who had Chester Harris Hull, b. 1823; d. 1897. 15 May 2007 Reply from the HFA Genealogist: Thankfully, from James Hull’s War of 1812 pension records, we can furnish more info for you. James m. (1)... [answer to this query is available only to HFA members; become a member here]. Query #029 – Hulls in Washington Co., MD: I would like any information regarding the Hull line in Washington Co., MD. I have searched but am unable to locate any data on this Hull line, especially on the ancestors of my gt. grandfather, Isaiah D. Hull and his wife Martha. 09 May 2007 Reply from the HFA Genealogist: I am pleased to tell you that we have the maiden name of Martha, plus four more generations to add to your lineage. Martha’s maiden name is... [answer to this query is available only to HFA members; become a member here]. Query #028 – Robert “Bob” B. Hull–Booth–Paddock–Froman: Desire biog. info on early life of Robert “Bob” Booth Hull, b. 31 May 1918, MN; d. 02 May 1962, Los Angeles, CA. He was s/o of George Elliot Hull and Elsie Booth, gson of Charles E. and Elizabeth D. (Paddock?) Hull, gt. gson of Daniel Marvin and Lucinda “Lucie” Farrington Hull. Residences of four generations: Minneapolis and St. Louis Park (Fern Hill? ), Hennepin Co., MN; SD; Cass Co., ND; Ogle Co., IL; and Columbia, NY. Was Charles E. Hull from Whiteside Co., IL and did he m. Libbie W. Paddock there on 20 Jan 1880? We know Bob Hull grad. U of MN ca. 1940, degree in chemistry. While in MN he was a concert-level pianist and joined the Communist Party of America. After he moved to Los Angeles in 1948, co-founded the first successful gay civil rights organization, the Mattachine Society, in 1950, with, amongst others, his dear friend Chuck Rowland, a WWII vet., activist, writer, teacher, and theatre founder. Hull’s sister, Elizabeth (b. 26 Apr 1920, d. 11 Jan 1975), wrote magazine articles and two children’s books, and m. Robert Winslow Froman, 1942. Froman was a journalist and later wrote books for youth on an array of sciences and mathematics; he also wrote poetry and fiction. Query #027 – Jane Price Roberts: Jane Price Roberts, b. 24 Apr 1848, Dowlais, Glamorgan, Wales; d. 7 Nov 1883 Hooper, Utah. She married Thomas Hull III, 20 Dec 1867 in Salt Lake City. Was she an adopted daughter of Owen Roberts and Mary Martin of Llandysilio, Wales? Was she previously married to someone named Price or was her family name Price? Thank you for any assistance. 23 Apr 2007 Reply from the HFA Genealogist: I have a family group sheet for this couple, on which I list their marriage date as 02 Apr 1864. I have their first child, Thomas Martin Hull, as being born on 17 Mar 1867, Franklin, Oneida Co., ID. All I have for Jane Price Roberts is her name, but I do have a second marriage for Thomas Benson Hull III to Mary Ann Flueitt on 11 Feb 1886. I’d be happy to send this family group sheet to you if you would like to see it. It does list my sources. Query #026 – Ann Hull (twin of Ella Mary Hull)–James Robert Spears/Sparr: Ella Mary Hull (b. 28 Aug 1880; d. 28 Apr 1961) is my late grandmother, who married Harvey Kendall Walker. She had a twin sister named Ann or Annie Hull, b. 28 Aug 1880, Naples, Ontario Co., NY. The sister, Ann Hull, married a James Robert Spears or Sparr; I do not have the correct spelling of his last name. I would like to start researching this part of my family. Does anyone have info on these people? Thanks. 21 Apr2007 Reply from the HFA Genealogist: Thank you so much for submitting a query to our HFA websites. I hope that by now you’ve had a chance to go over your posted query to make sure that the rewording is okay and everything is correct. I do have one question for you. When I read your query, it seemed to me that your query was really about wanting more info on Ann Hull and her Spears/Sparr husband. Therefore, if this is true, then wouldn’t it be more correct to put in the heading: Ann Hull (twin of Ella Mary Hull) – James Robert Spears/Sparr, rather than just Ella Mary Hull? I hope to hear from you as soon as you are able to reply. Query #025 – Hull–Devereaux: Searching for info on John Hull, b. 1775, Granville District, NC, who m. Sophia Devereaux. His son, Ebenezer Hull, b. 1810, Guilford Co., NC; d. 1911, NC. Query #024 – Hull–Cales: I would like to know who Mary Magdaline Hull’s parents were and to trace this line back further. Mary was b. Feb. 1826, residing in Augusta Co., VA in the 1800s. I believe her father was David Hull (b. ca. 1805) and mother was Mary Margaret Cales (b. ca. 1802). Any help would be appreciated. Query #023 – Hull–Chapman: I am requesting info on my 5th gt. grandparents, Daniel Hull, who m. Nancy Chapman. Daniel came to Danby Twp., Ionia Co., MI in the early 1800s with his wife and some children. Daniel and Nancy are buried in the Danby Cemetery, Danby Twp, Ionia Co, MI. Query #022 – Hull–Jackson: Will you please check your records for George Anderson Hull—a physician in Ashland Co., OH in 1845? He married Juliet Abigail Jackson, 25 Feb 1845, in the Episcopal Church, Cleveland, Cuyahoga Co., OH. Her father was Morris Jackson, born in RI. But what happened to George Anderson Hull? I cannot find him in any census. Where did he live; where did he die? I’d appreciate any information you have about this man. Thank you. Query #021 – John Justus Hull: Do you know this gentleman’s history as I am a violin maker and have acquired his violin making tools. He is from NY. Thank you. 07 Oct 2009 Reply from Carol Hull Sechriest, HFA Member #1635: Hello. John Justus Hull was my Grandfather. He also lived in Ohio and I have been looking for him for years! Finally followed up on the fact that he made violins and now am finding lots of info. I have a picture of him sitting in a chair holding a violin. I have information on the family if you would like it. Note: This reply is also a reply to Queries #131 and #152. Query #020 – Benjamin Hull–Trustram Hull: Phyllis, I have read your posts on Rootsweb and noticed your commentary on the line from which I descend (the Benjamin Hull–Trustram Hull line). Based upon messages on Rootsweb, it appears we may have followed an incorrect path. I have wills, death certificates, and biographies for many of my Illinois clan. Can you assist me in the right direction? Trustram Hull and Sara Hultz/Hulse (wrong, I guess)—he is the son of Trustram Hull and Elizabeth Bescherrer. Any assistance is so appreciated. Query #019 – Hull–Adams: My husband’s gt. grandmother was Mary Frances Hull (b. 06 Jan 1858, possibly in IN) who married Horace F. Adams. I am in possession of copy of a handwritten record which bears the date of 1916 and which details births, deaths, and marriages of what appear to be the children of John Hull and Susanna Cook, as follows: John Hull, b. 18 Dec. 1798, d. 08 Jan 1866, m. Susanna Cook, 23 Mar 1820 in Augusta Co., VA. Children: Jacob Cook Hull, b. 2 Feb 1821; Sarah Margaret Hull, b. 24 Nov 1822; Addison Hull, b. 22 Sep 1824; Mary Ann Hull, b. 8 Feb 1826; Daniel Franklin Hull, b. 6 Sep 1827; John Paul Hull, b. 10 Jul 1829; George Hull, b. 30 Nov 1830; Samuel Hull, b. 17 Sep 1832; Evaline Hull, b. 13 Oct 1835; Susanna Hull, b. 8 Jan 1837; Rebecca Hull, b. 7 Apr 1841; David Hull, b. 7 Apr 1841; Francis Marrion [sic] Hull, b. 22 Jan 1845. Can you help me with a connection between any of these children and Mary Frances Hull? Thank you. Query #018 – Hull–Scott: I would like more info on my gt. grandfather, William Henry Hull, b. ca. 1859, ?NJ; res. in Newark, Essex Co., NJ in 1900; m. Mary B. Scott. Would like to verify where he was born, lived, and died. Would also like to verify that his father was Leonard L. Hull, who married Sarah, and would like more info on this couple. Note: Verified facts about Frank Elmer Hansen appear in boldface. I am seeking info on my grandfather, known to me as Frank Elmer Hansen, whom I suspect was really Fern Elmer Hull, a man with two wives (a wife and ex-wife) and different families with each. Frank E. Hansen was an only child and a fireman on the Chicago & Northwestern RR. Fern Elmer Hull was born 21 Jun 1897, in Lima, Rock Co., WI, to parents Charles E. Hull (of English descent) and Sarah McQuellan (of Irish descent); he also was an only child. Fern Elmer Hull registered for the draft in World War I in Fond du Lac Co., WI, where my grandmother, Evelyn Mary Blatz, was born and raised. On his registration, Fern E. Hull listed as his next of kin his wife Ruth. Was he also known as Fern Elmer Hull? The Hulls in this lineage belonged to the 7th Day Baptist Church. Charles E. Hull was the son of Charles Hull Sr., of Rensselaer Co., NY, and Mary Green, of Fulton, Rock Co., WI. This line has been traced back to the Rev. Joseph Hull, immigrant of 1635, from Crewkerne, co. Somerset, England. Fern Elmer Hull probably married Ruth C. Bartz, b. ca. 1899, prior to Aug 1918, but no marriage record has been found. Their Hull children were: Virginia, age 3 ½ yrs., Margaret, 2 yrs., and Mary, 3 mos., as found on the 1920 Rock Co., WI census living with Ruth (Bartz) Hull and her parents, Charles F. and Augusta H. Bartz. Fern E. Hull, listed as married, was found in the 1920 census living as a lodger in Chicago, Cook Co., IL. Living at the same residence was Evelyn Mary Blatz, single, b. 1896, who was my grandmother. No marriage record has been found for either Fern E. Hull or Frank E. Hansen and Evelyn Mary Blatz. Evelyn Mary Blatz Hansen’s first child, Janice Marjorie Hansen, was born April 9, 1920; she was my aunt and there were ten children in this family, including my mother. Fern E. Hull is also found on the 1900 census in Lima and the 1910 census in Milton, both in Rock Co., WI, near Janesville, in his parents’ household. I can find nothing about Fern E. Hull after the 1920 census and I can find nothing about Frank E. Hansen prior to 1920. Any information, photos, or other documents about Fern E. Hull, which might verify that he was, in fact, my grandfather, Frank E. Hansen, would be greatly appreciated. Thank you. Query #016 – Hull–Morris–Thatcher–Quine: Desire info on George L. Hull, b. ca. 1827, prob. NY. Married 02 Aug 1846, to Sarah Ann Morris, Methodist Episcopal Church in either NYC, NY or Hoboken, Hudson Co., NJ. He d. 18 Feb 1865 in Civil War, in Norfolk, VA. Was fireman on the USS Dictator. Family at that time, living in Hoboken, NJ. Children were: George M. (m. Isabella [__?__]; William L.; Jane; Alida/Alyda; Hannah/Annie; Adah/Ada; John; Mary (m. #1 Stephen Thatcher, #2 Douglas Quine); another dau., name unknown. Births of ch. range from 1846 to 1864, all b. NJ. Seeking exact birthplace of George L. Hull and names of his parents. Query #015 – Hull–Miller: I am seeking information on my 3rd gt grandparent, Jacob Hull, born ca. 1798 or 1800, Warren Twp, Franklin Co., PA, and his family. His wife’s name was Sarah (possibly Miller), born ca. 1799, in Bethel Twp, Delaware Co., PA. Their known children were: Abraham, Isaac, Richmond, and Elizabeth. There were 8 other children in this family. Jacob moved west to Illinois about 1857 where he farmed for the remainder of his life. Query #014 – Hull–Gregg: I would like to receive any new information confirming what I have on my 2nd gt. grandparents, Edwin Hull and Ann Gregg Hull. Edwin Hull was b. 15 Oct 1815, Camillus, Onondaga Co., NY; d. 23 Aug 1849, Clintonville, Venango Co., PA. He was a minister in Perrysburg, Cattaraugus Co., NY. He m. 21 Jul 1842, to Ann Gregg, who was b. PA.
31 Mar 2007 Reply from Carol Ackerman, HFA Member #1397: A recent search into my line of Hull/Hansons came up with a reference to a Sarah Gregg of PA who was a Quaker. Please see the autobiography of John Gregg Fee, property of U of North Carolina, and online here. John Fee was a founder of Berea College in KY so there may be more information on him and his family which I haven’t looked into yet. On my line of Hulls, the Hanson, Gregg, and Fee names come up often.